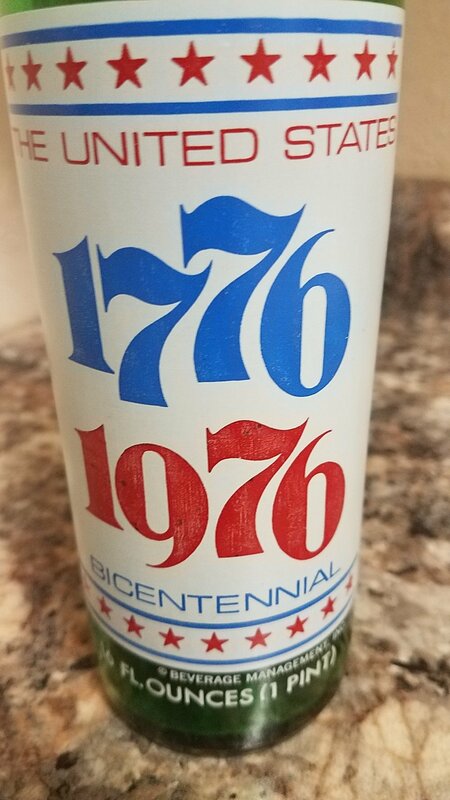 As for many collectibles, there is a wide range of "Commemorative" items in the soda industry both past and present. These types of variants to the standard issued bottles, always provide a nice addition to your original-issued label collection. These are normally those bottles that you will always see first at that local antique store or flea market. Why is that? If these are commemorative, wouldn’t that mean there should be a limited supply/sightings of these bottles? In addition, in most cases you will see a price tag that is usually greater than that of the average printed bottle of that brand. Why is that? Let me try to answer these question from my point of view. If you were to Google the definition of “commemorative” you will see a definition somewhat like; “Acting as a memorial or mark of an event or person”. Most of the major soda brands such as Coca-Cola, RC and Pepsi have produced a large number of commemorative bottles both in the past and even still yet today this continues. As mention, these reference historical events, monuments, sporting events (Super Bowls, College teams…and the list goes on and on and on and on and on…. 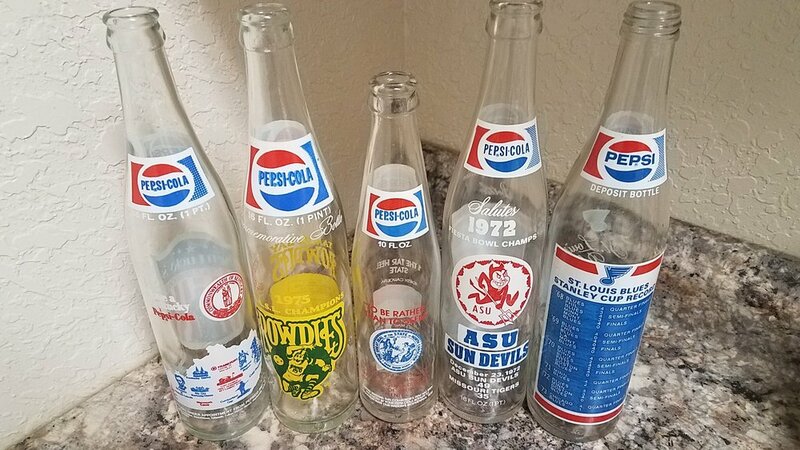 (I think you understand how I feel) Please see some of the photos on this post of just a few of my 1970s-80s example commemorative bottles. In recent decades, Coca-Cola has gone ape-crazy on the mass production of those common hobble-skirt bottles dedicated to every event/team/holiday that you could ever think of. As a result, flooding the market of these bottles at what I refer to as “A dime a dozen”. I have had people beg me to buy these and take them off their hands and free their garages of the 50+ cases they have stacked up. I have always stayed away from these types of bottles and only have a few local examples in my collection. Please notice in the definition of commemorative that you just Google, you don’t really see the term “limited amount”. Although when you think commemorative, most cases you think that there is a limited amount of that bottle. (Which could be true). So this leads many people to the outcome of “It’s a commemorative bottle and it’s rare and worth a lot of money” Hmm, not always the case. Let me proceed here with my answers. - These are normally those bottles that you will always see first at that local antique store or flea market. Why is that? Well, the standard issue bottle we either throw into the garbage can or now the “recycle bucket” when we finish it off. I think this is a given. What do we do with that commemorative bottle? Many times, we may not drink it and put it in the closet or china cabinet (LOL). Worst case scenario, we drink the soda but will still always revert to saving away that commemorative bottle. Why not, it’s a collector’s item 10-20 years later, when we are ready to part with it and then this is when it ends up in antique shops, flea markets or our favorite online auction. (Bingo). At this same time, the original bottle that we threw in the recycle bucket, is already melted down and working on its second life (not in the shops for sale). - If these are commemorative, wouldn’t that mean there should be a limited supply/sightings of these bottles? Limited being the key word here, yes there is normally a shorten run of these (but still there could be millions produced) But most important, everyone is also saving them in the first answer. So what is the supply/demand ratio of these 10 years later? - In addition, in most cases you will see a price tag that is usually greater than that of the average printed bottle of that brand. Why is that? Good question here. Remember these are the bottles flooding the stores/auctions.. Because we saved all of them from the trash and also possible even though they are commemorative, they still could have been massed produced if there was not a limited production. 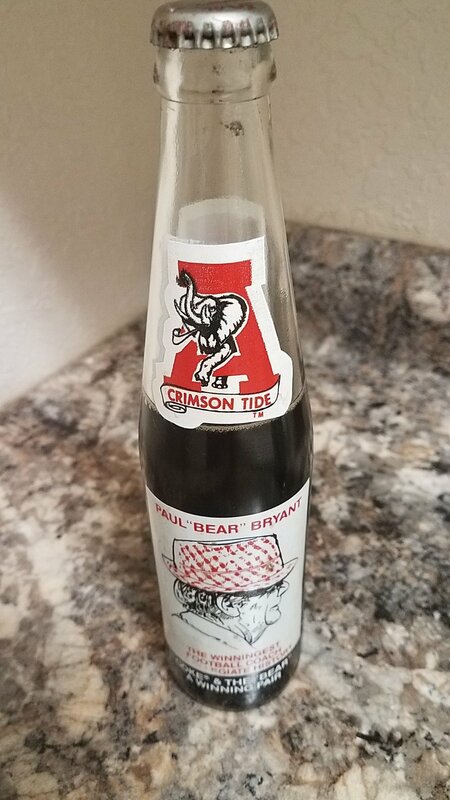 (Like those recent Coke hobble skirts) Also with these commemorative bottles, always take in consideration the geographical area of where the bottle is being sold. 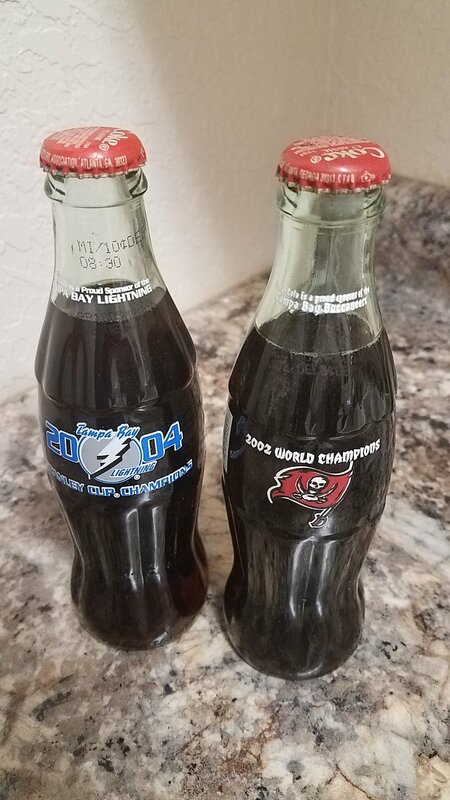 Example: I think I could get a better price for a Tampa Super Bowl Bottle trying to sell it in Tampa, Fl then selling it in a city like Dallas, Texas. So a high price in the Tampa market and the lower price in the Dallas market. So maybe best to by online from that person in Dallas. But don’t forget you will have that dreaded shipping cost.